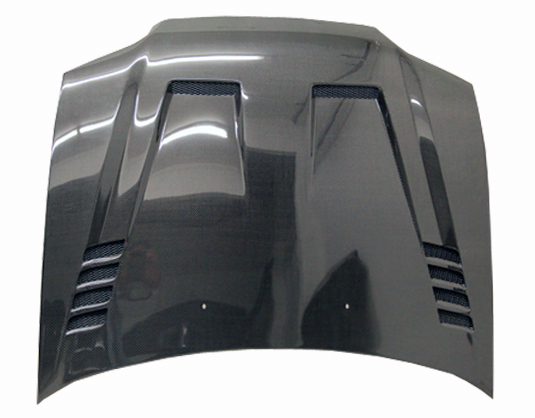 1992-1995 Honda Civic 2Dr Cyber Carbon Fiber Hood. VIS Carbon Fiber Hoods and Trunks are made from 100% ISO-certified, Grade-A carbon fiber material. 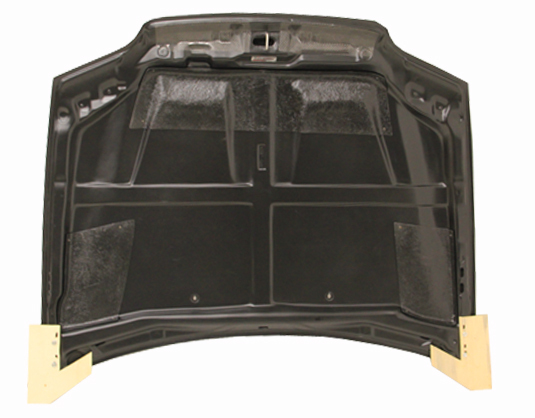 All VIS Carbon Fiber Hoods and Trunks are manufactured using a two-part construction design. 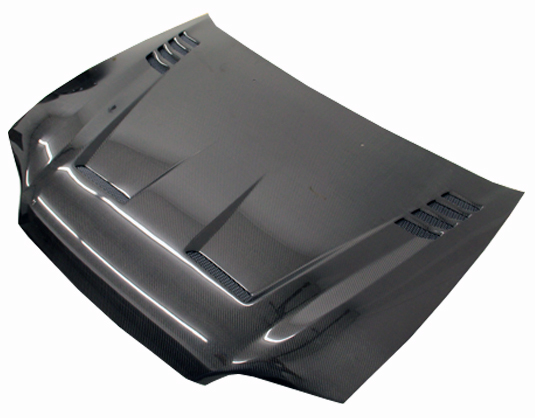 The top layer is composed of carbon fiber material bonded to the hood surface with high-grade epoxy resin, andfinished with an ultra-clear (Poly Shield), UV-protective polyurethane coating for a high gloss finish. A one-piece, smooth underside shell is fused to the top layer enhancing the product’s structural integrity. The edges are smoothed by hands to insure good quality finish all around. In 2014, we further improved on this manufacturing process by introducing the Vacuum Infusion Process (V.I.P. ), which utilizes a single-mold vacuum to produce parts that are 10-20% lighter than before while improving durability. We are transitioning our full spectrum of carbon parts to use the VIP process so that our customers can enjoy these improved products without incurring a huge cost increase.